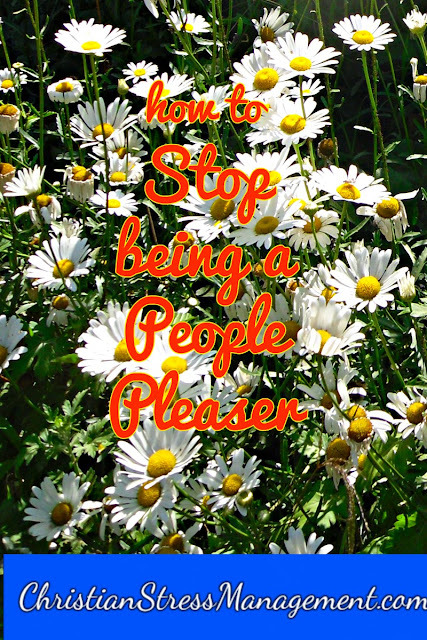 How To Stop Being a People Pleaser teaches you simple things you can do to stop being a doormat and cure the disease to please. Are you tired of suffering from the disease to please? If you are, learn from Bartimaeus. As Jesus left Jericho with his disciples and a great number of people, blind Bartimaeus, the son of Timaeus, sat by the roadside begging. Bartimaeus casting away his garment, rose and came to Jesus. The first thing you have to do to stop being a people pleaser is to value your physical, emotional, mental, and financial well-being. In addition, you should not only value your well being but you should also place more importance on your well-being than on pleasing others so when you are faced with the choice of doing something that does not please those around you but is for your own good verses doing something that pleases them but is detrimental to your well-being, you will choose the option that is good for you. To help you make the right decision always remind yourself that Barnabas would have remained a blind beggar if he had chosen to be a people pleaser and stopped calling out to Jesus when the crowd told to him to keep quiet. Therefore, commit today to choosing the course of action that ensures well-being regardless of whether it displeases the masses.